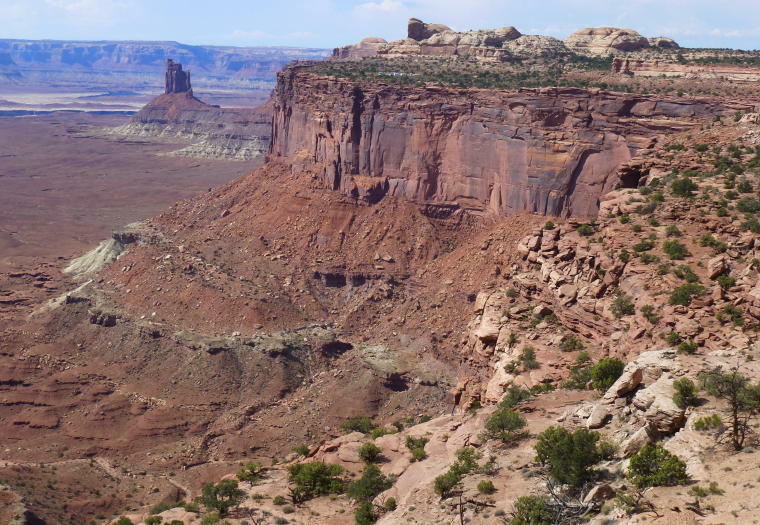 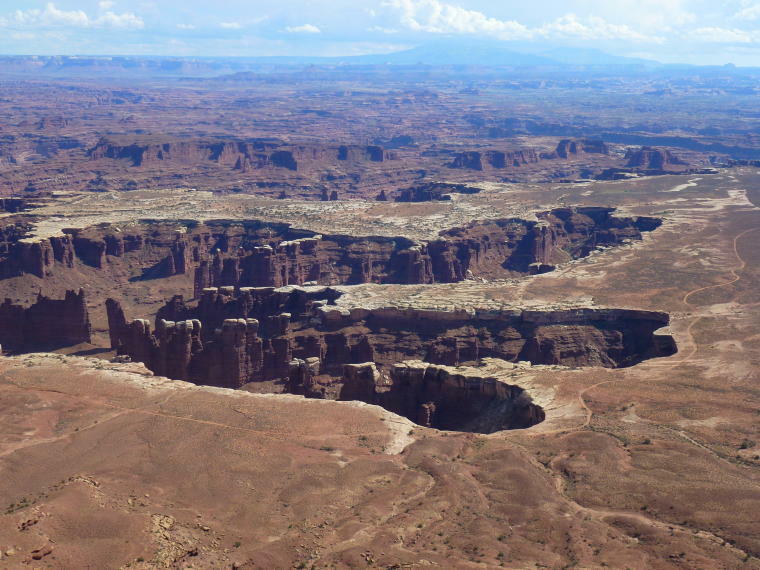 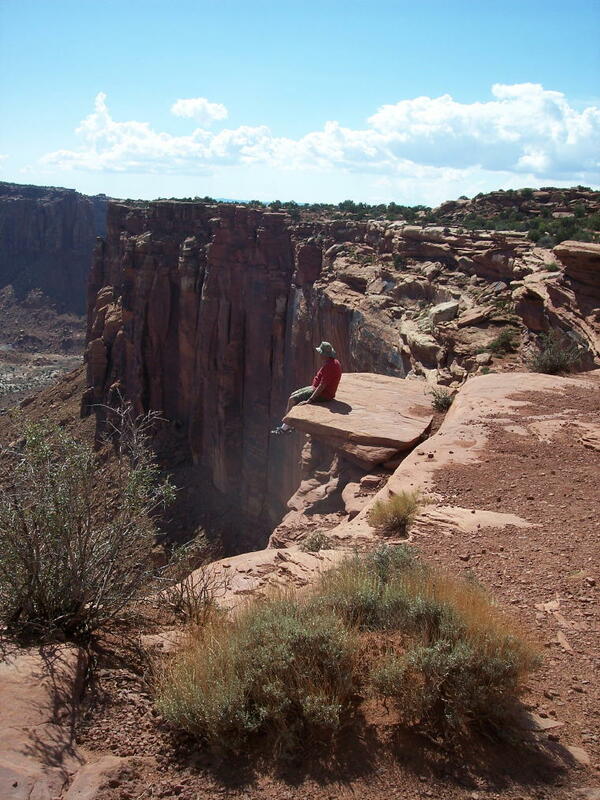 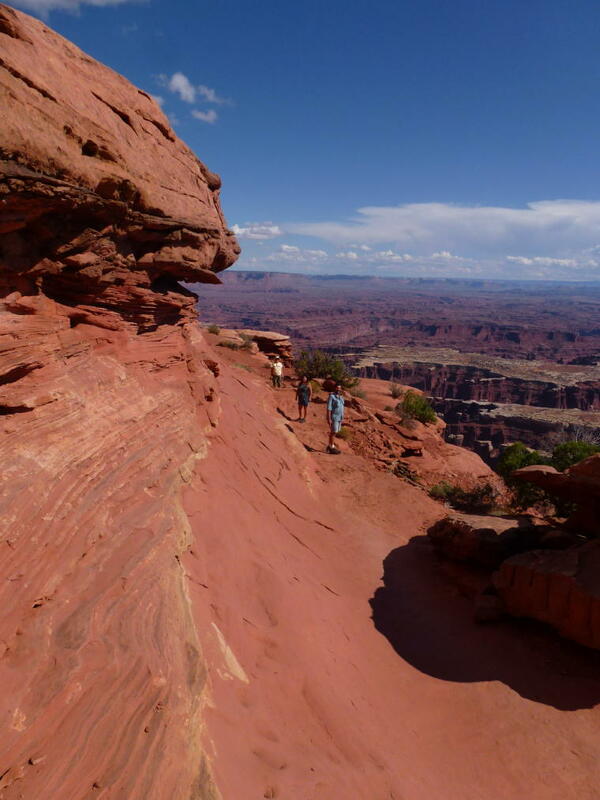 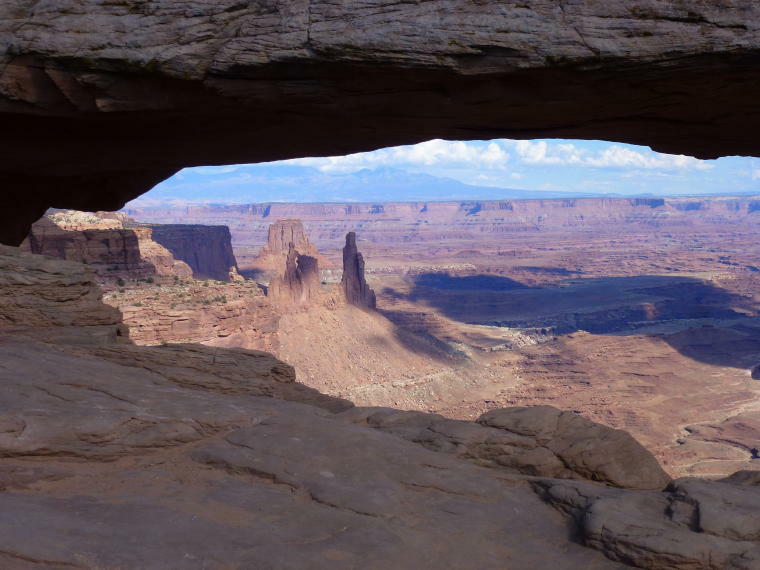 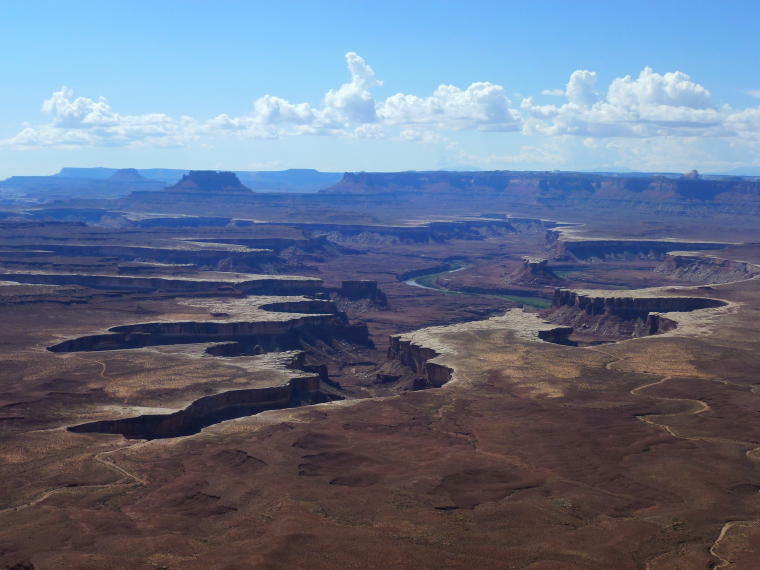 Canyonlands National Park is divided into 3 very different districts: Island in the Sky in the north, The Needles in the east, and The Maze in the west. 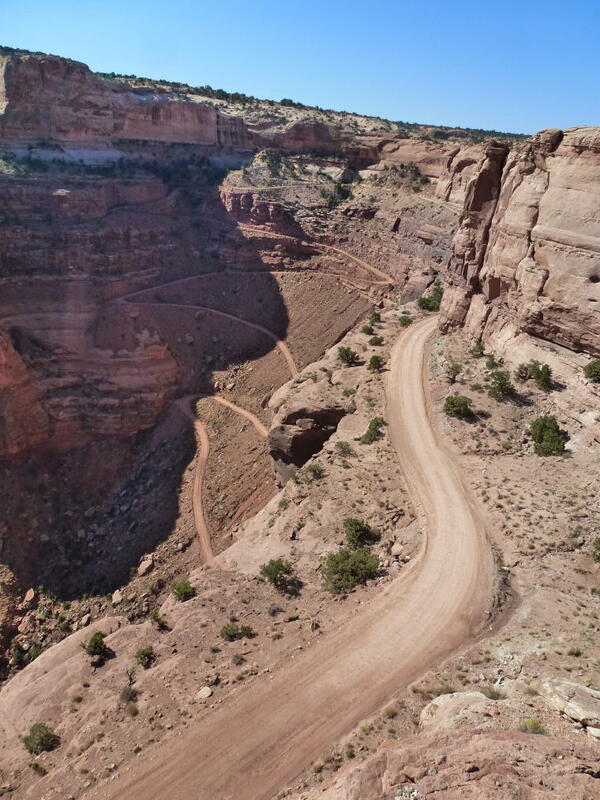 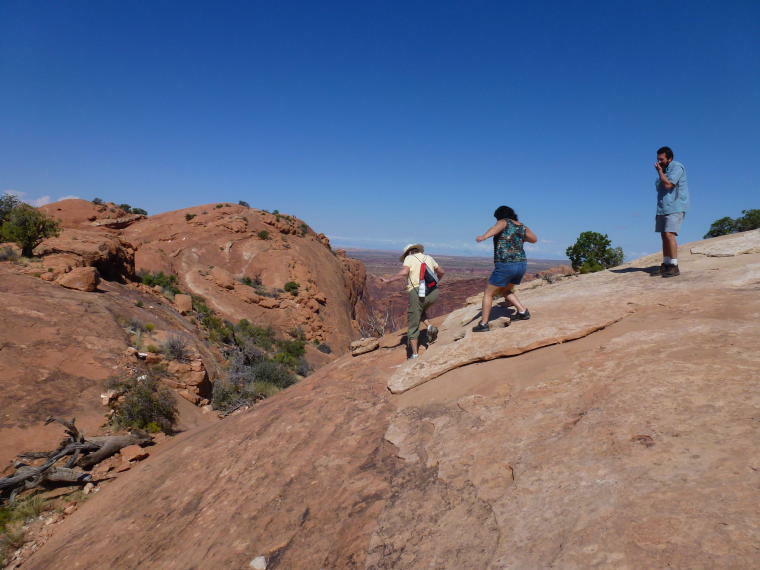 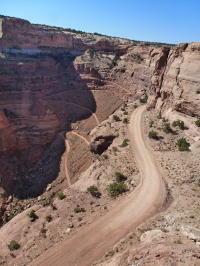 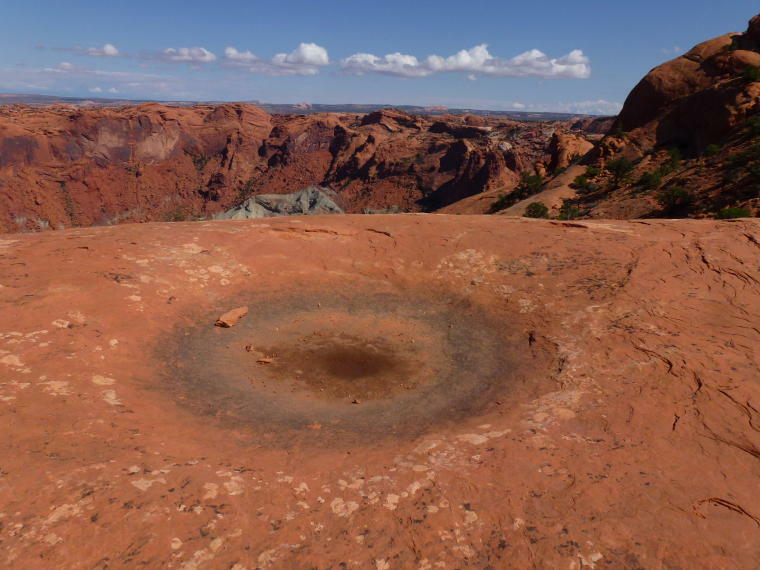 The Island in the Sky area is 32 miles from Moab. 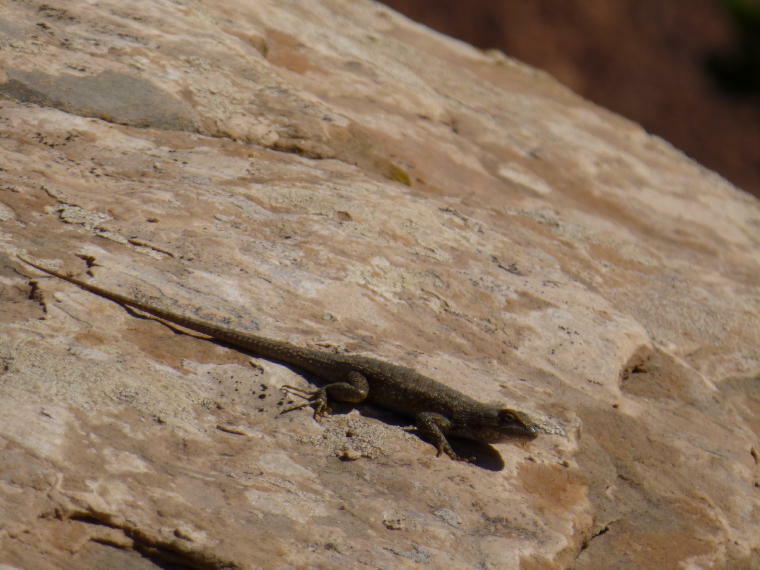 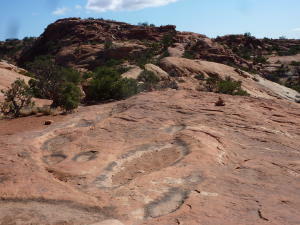 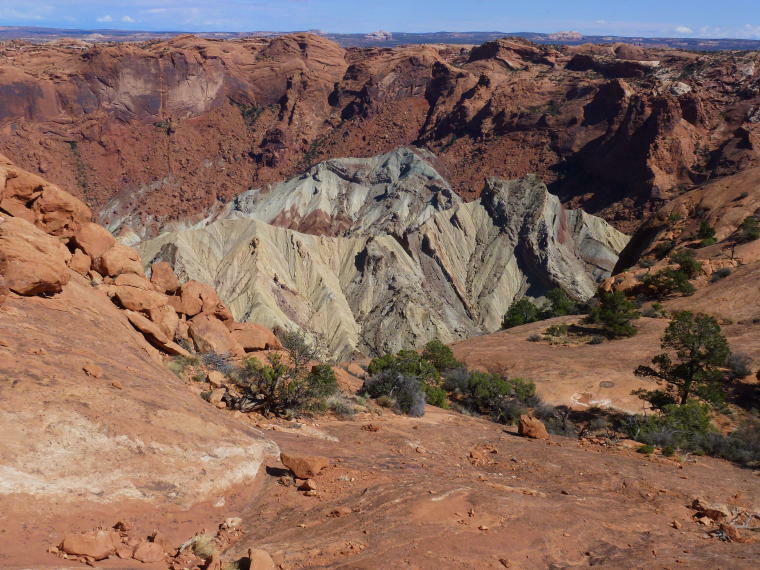 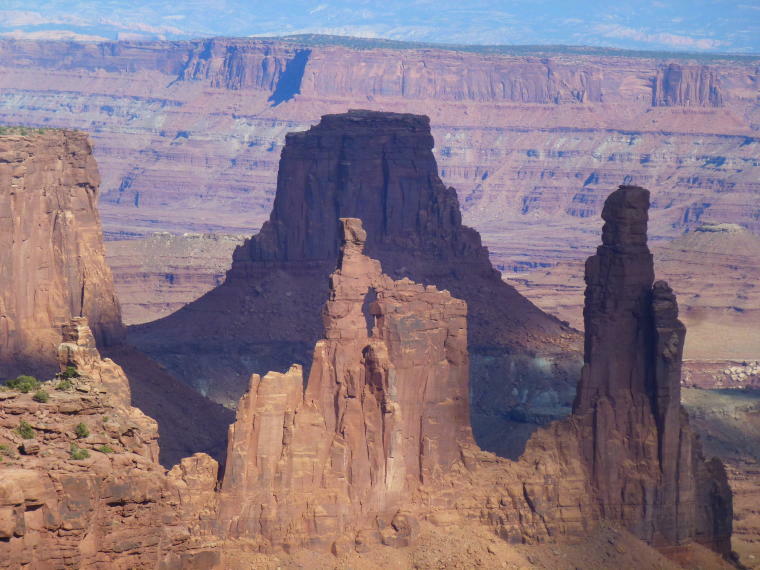 Though close to Arches National Park, it has very different geological features. 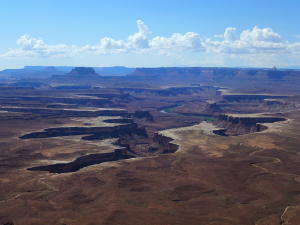 The Colorado and Green Rivers cut a path through the area and form the boundaries between the districts. 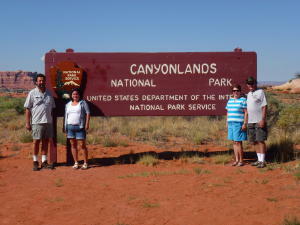 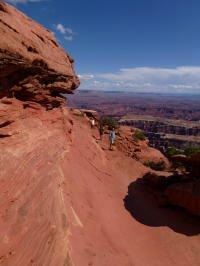 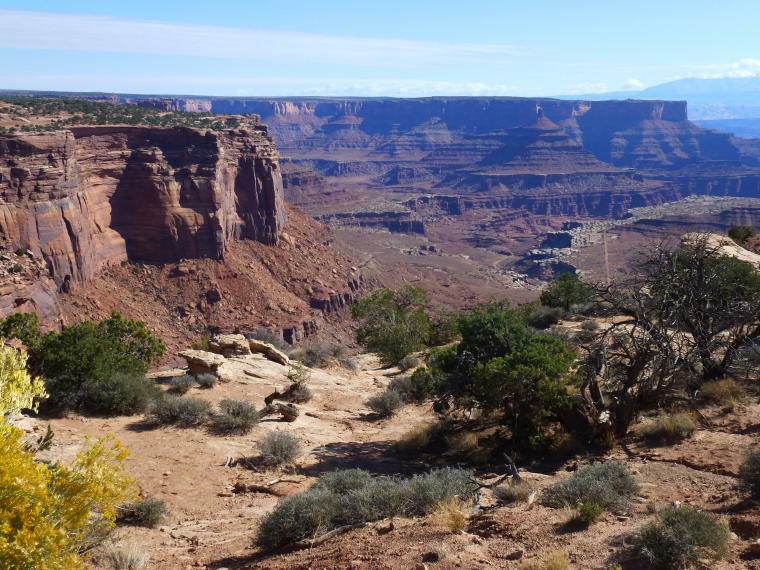 Hiking trails, longer and more primitive than in Arches NP, lead to amazing vistas of the canyons in the park. 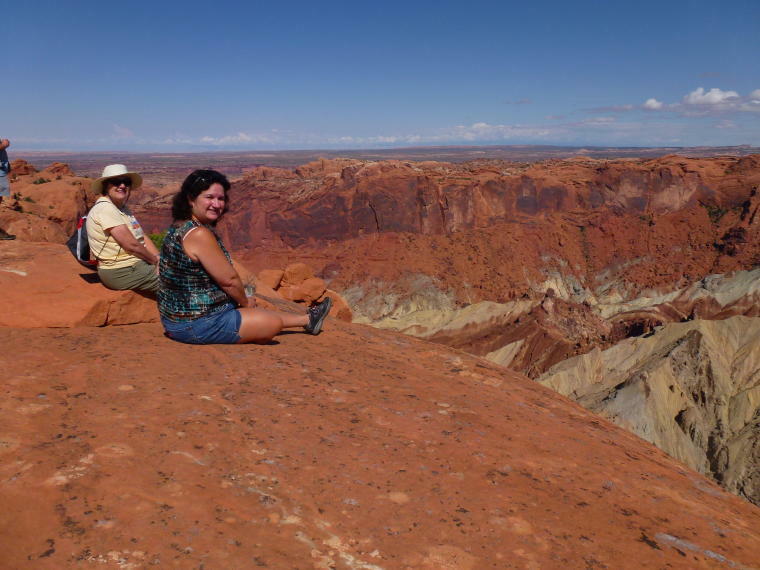 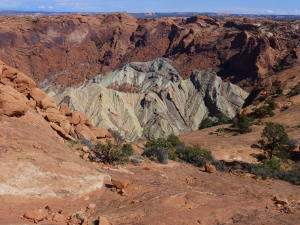 Upheaval Dome - 1500 ft. deep crater. 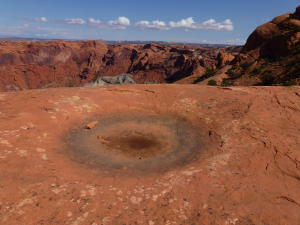 Geologists are not sure what created the dome - some think a meteor hit. Green River Overlook - Elevation 6000 Ft. The Green River cuts through the canyon. The Green River divides the Island in the Sky district from the Maze district. 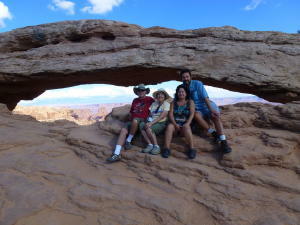 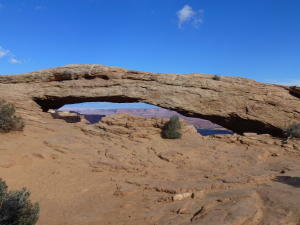 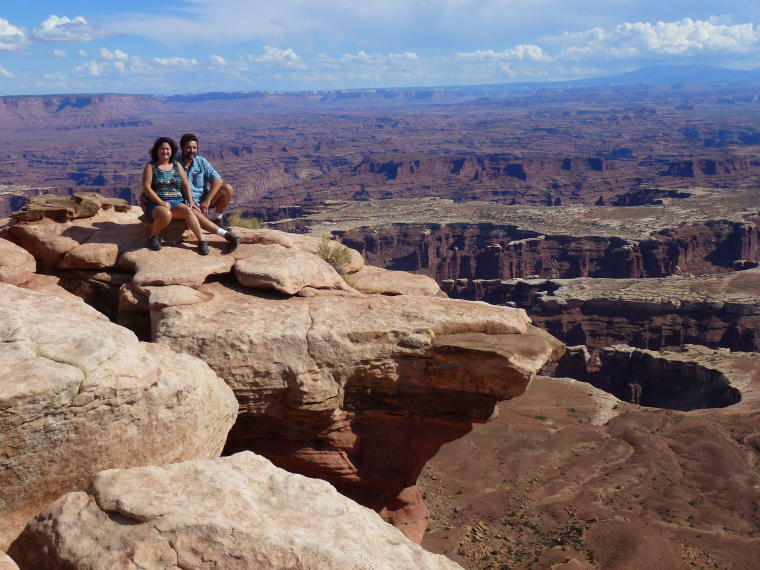 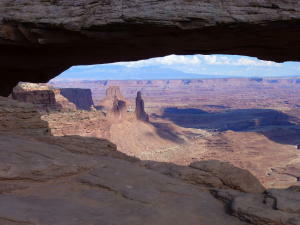 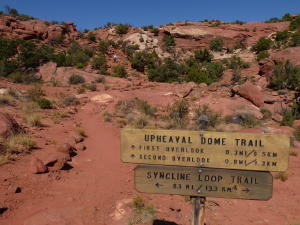 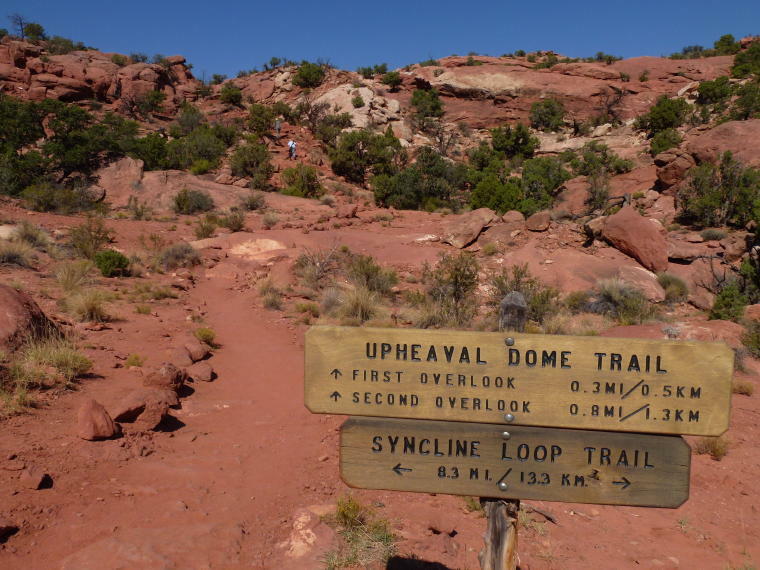 Mesa Arch - a 1/2 mile loop trail leads to the most scenic arch in Island in the Sky. 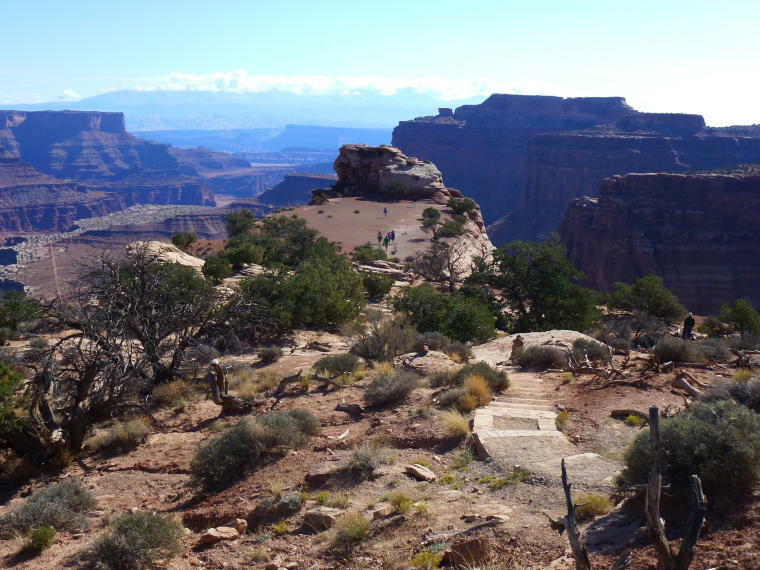 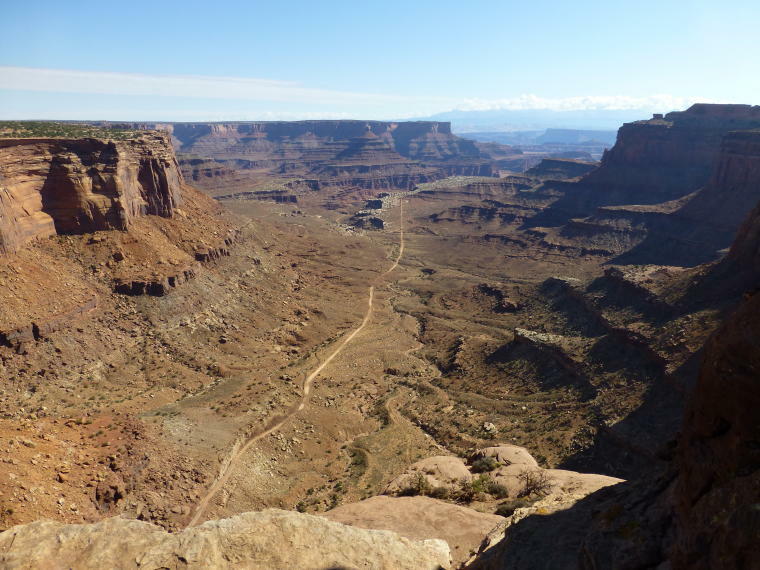 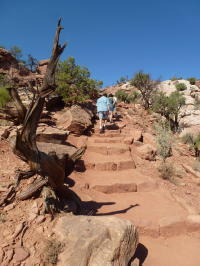 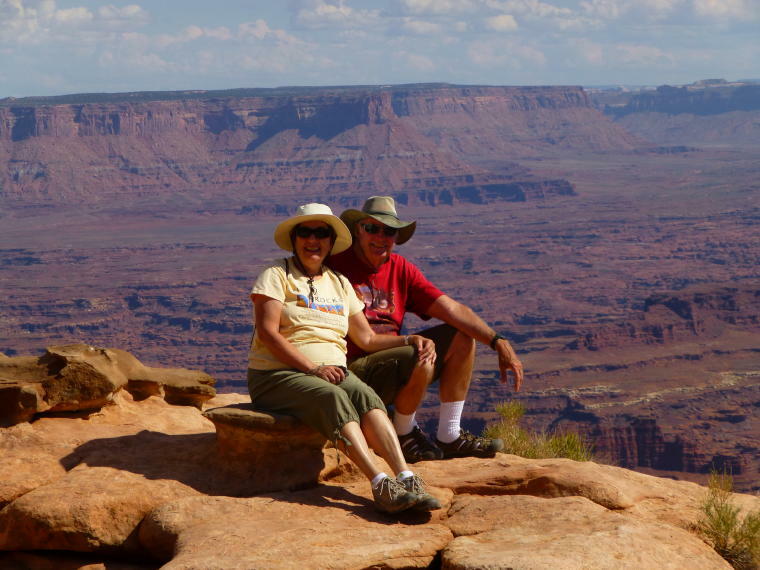 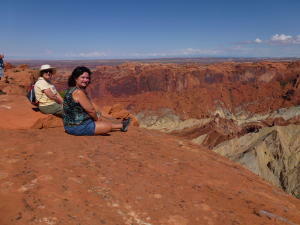 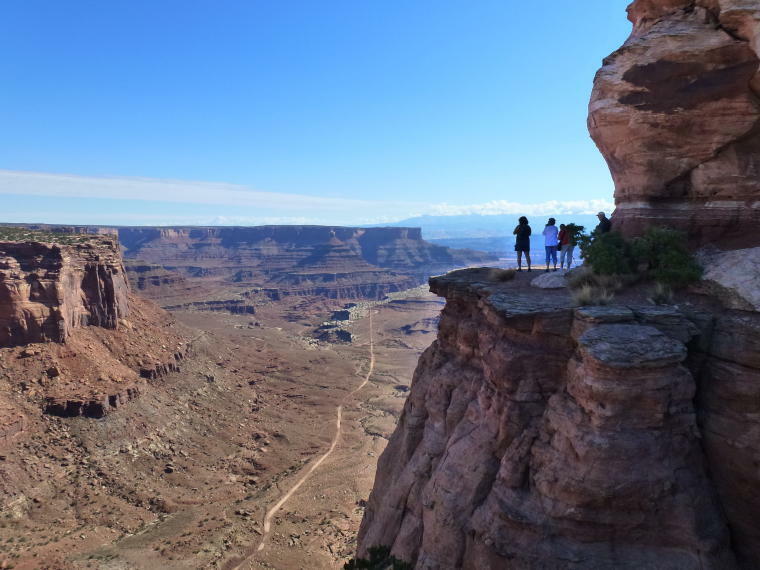 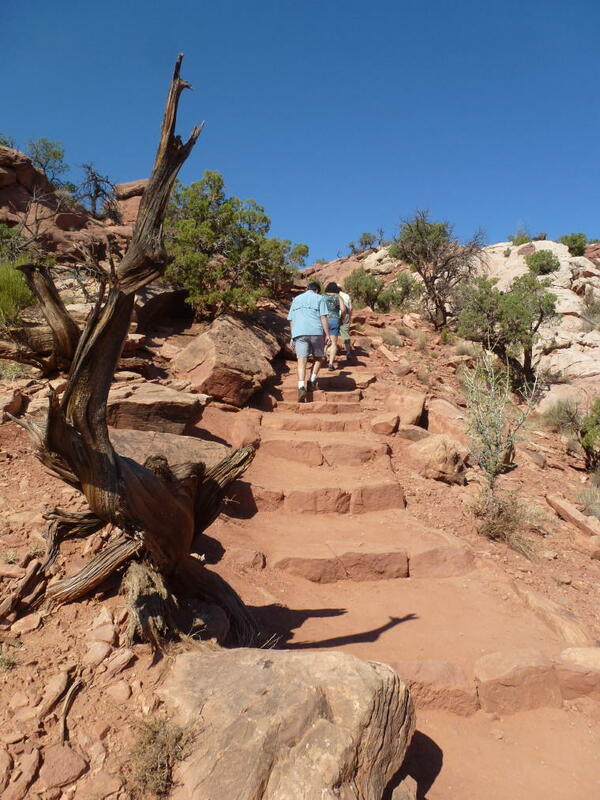 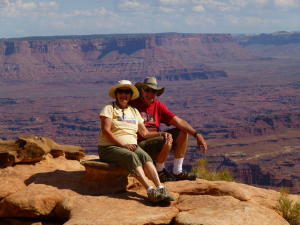 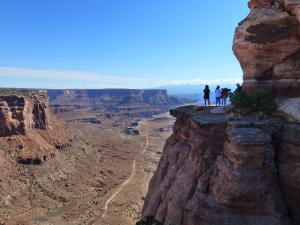 Grand View Point Trail - a 2 mile round trip hike along the rim of the canyon to the end of the Island in the Sky mesa. 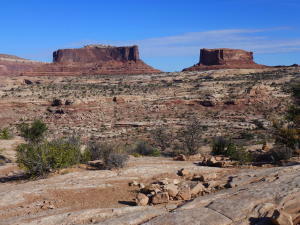 The Merrimac and Monitor Buttes - named after the Civil War ironclad ships which they resemble.